I love a Sunday roast! Back when I lived with my parents in Norfolk we had one every week and it's definitely something I took for granted. Last weekend Simon and I realised that it had been many months since our last Sunday Roast and as we're not brave enough to attempt cooking one at home we decided to head to Toon to see what was on offer. 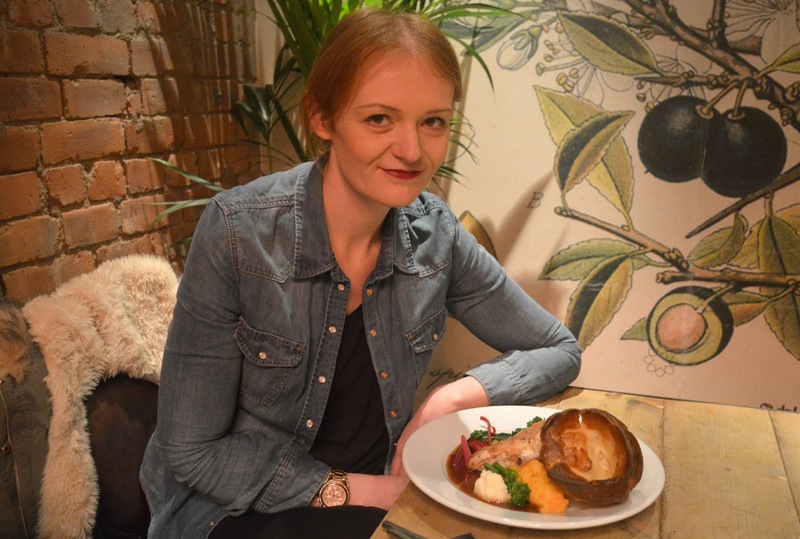 I've heard on more than one occasion that Pleased to Meet You not only have an amazing gin menu but also serve one of the best Sunday lunches in Newcastle so that seemed a pretty good place to start. Enthusiastic as ever we booked a table for 12:00 pm and were the first people through the doors for our lunch. I think seeing customers so early in the day confused the bar a little as our trip began with a muddle over the menus - we were given the normal menus with no mention of roast dinner. I'm sure you can imagine how my face dropped when I thought that perhaps Sunday lunch was off the cards. Luckily after a bit of investigation we were brought some Sunday menus and my diva strop was averted. 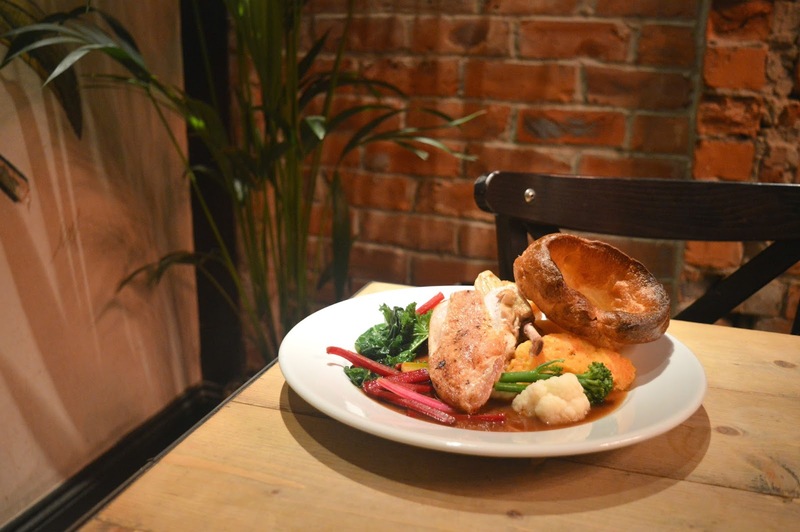 The Sunday lunch menu at Pleased to Meet You offers a full variety of roasts with a choice of chicken, lamb, pork and beef as well as a vegetarian option. I was pleased to see all of my favourites included but struggled to make my decision. 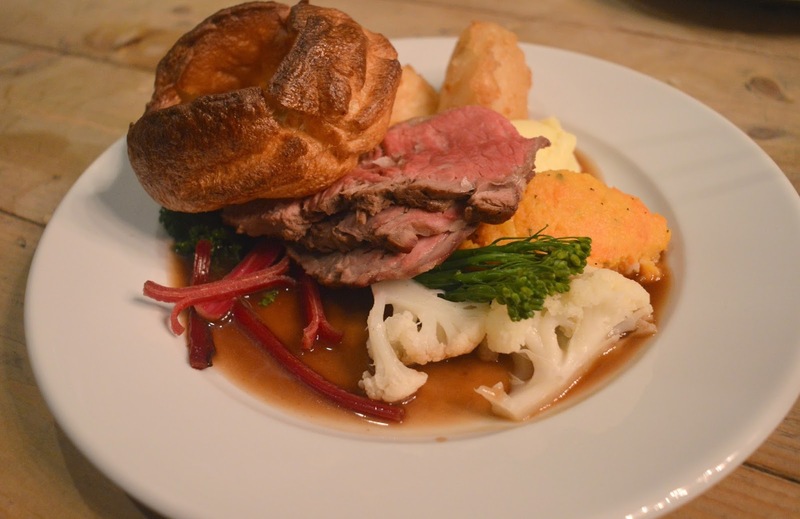 It's hard to know what to go for when you're ordering a Sunday lunch out, a beef roast is my favourite but all too often when I've ordered beef in restaurants it's been a little tough. Despite hearing nothing but glowing reports for their Sunday lunches I decided not to take the risk and opted for chicken, happy in the knowledge that Simon was ordering beef which meant if it looked tasty I could probably pinch some off his plate. We had a little wait for food which did become a little uncomfortable as the bar was very chilly. If I'm out for Sunday lunch in the Winter time I love to feel warm and snuggly so waiting for food in a draughty bar wasn't ideal. The chilly temperatures were forgiven as soon as the food turned up. Plates piled high with meat and veg with Yorkshire puddings as big as my head. My chicken was tender and juicy, the roasties were crispy and fluffy and the veg was fresh and crunchy. The rumours were true, Pleased to Meet You serve one of the very best Sunday lunches I have ever tasted. Despite my food being amazing I still suffered a serious level of food envy when I saw Simon's beef, there were generous pink slices covering his plate and as soon as I saw his knife cut effortlessly through it I knew I had to have some. I managed to get myself a good three forkfuls and it was perfect, I will definitely be ordering the beef on my next visit! We were so full we couldn't even consider taking a look at the dessert menu, which we all know is unheard of for us! 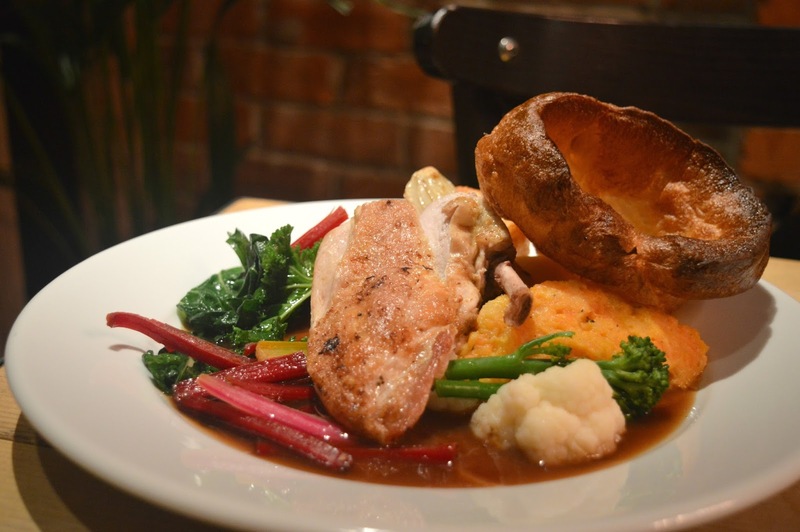 If you're looking for somewhere in Newcastle for a delicious Sunday Lunch I'd definitely recommend Pleased to Meet You ... but maybe take a nana blanket for your knees! OMG you didn't have dessert!?! Who are you?!? Haha!